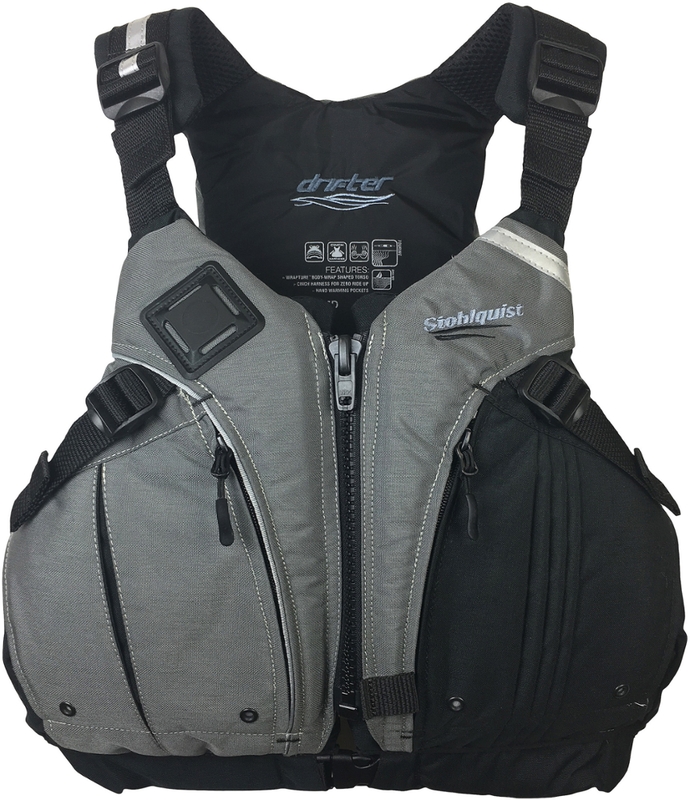 The Stohlquist Men's Drifter Lifejacket (PFD) - The Stohlquist Men's Drifter Lifejacket (PFD) offers all-day comfort, along with ample, easy to access storage. 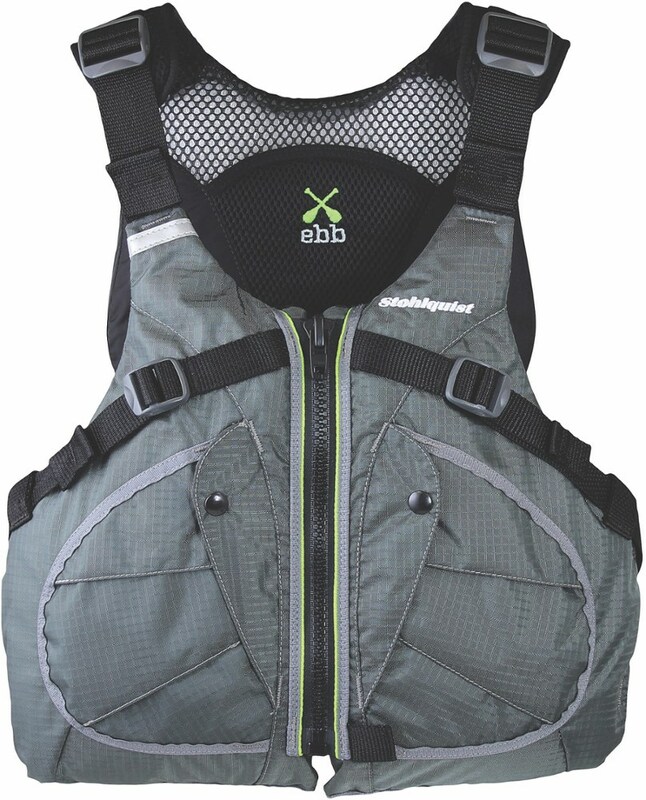 The ergonomic Wrapture shaped torso wraps around the body for a close and low profile fit and the cross-chest cinch harness keeps flotation elements low on the torso, eliminating ride-up. 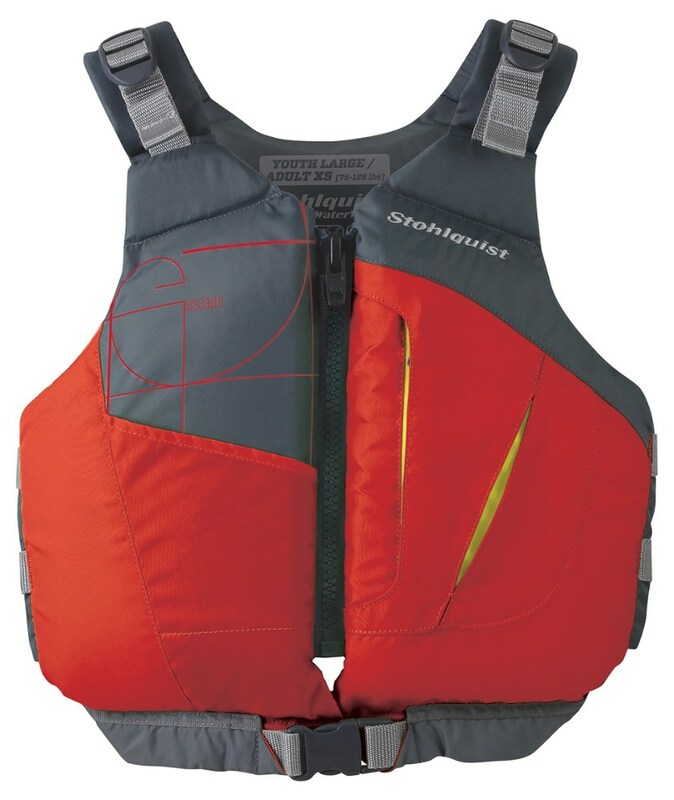 Stohlquist Paddle Mens Drifter PFD Mango/Black Small-Medium Chest 33-39 521336. The ergonomic WRAPTURE shaped torso wraps around the body for a close low profile fit. 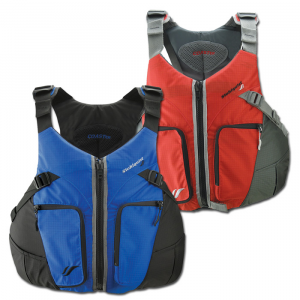 The Cross-Chest Cinch Harness keeps flotation elements low on the torso eliminating ride-up while providing more effective in water buoyancy. 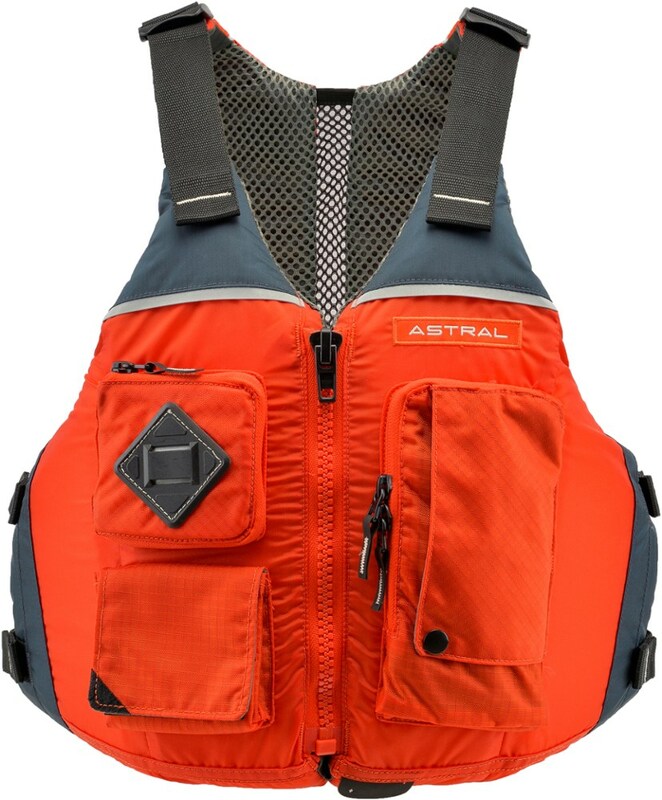 Full of comfort and functionality for all disciplines of paddling, the Stohlquist Drifter PFD features a secure fit coupled with front/back lash tabs, hydration loops and fleece-lined hand pockets. 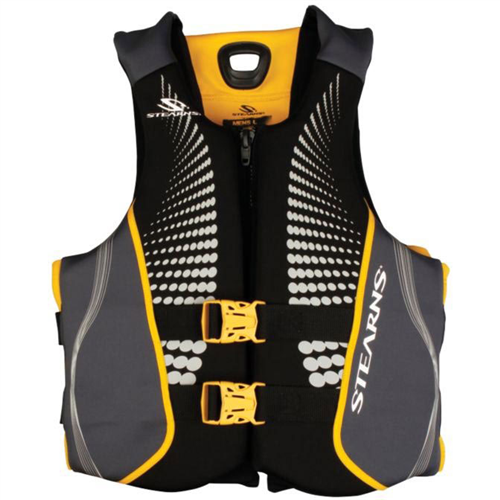 Stohlquist melded the comfort of an everyday PFD with the slim lines of a more low-profile, athletic-style design in order to create the DRIFTer Personal Flotation Device. Hand-carved float panels sit low and wrap around the chest with a cleverly-shaped curve that gives this vest a hardly-there feel. 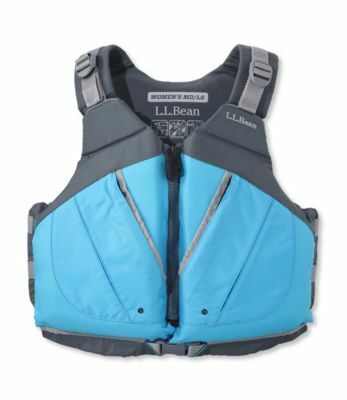 Straps at the shoulders, sides, and chest allow plenty of adjustability, and the extra-wide armholes let you dip your paddle with ease whether you're in the boat everyday or only on the weekends.